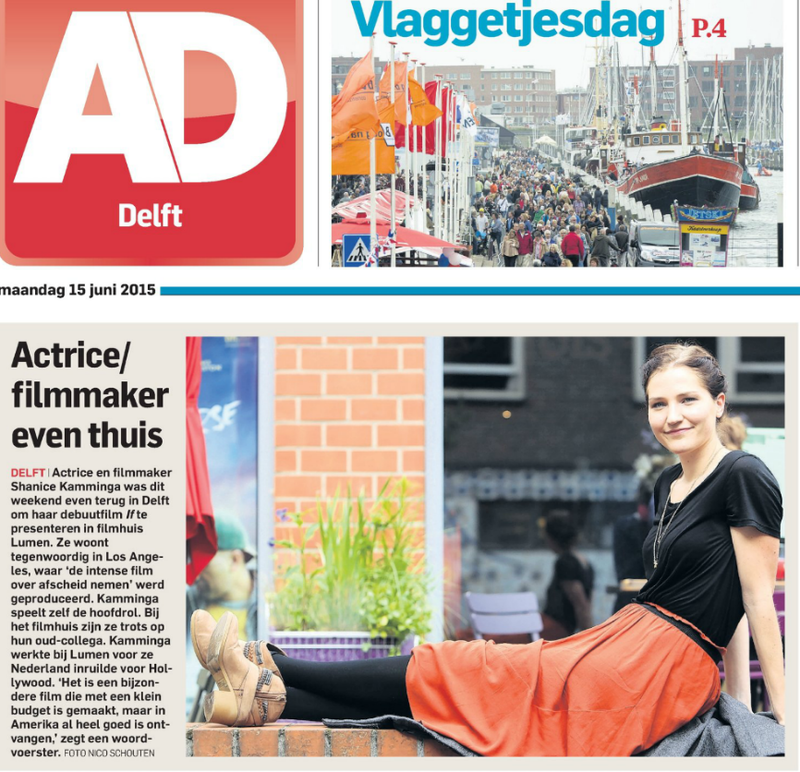 Okay, so some factual errors here (I never worked nor lived in Delft) but hey, the front page! 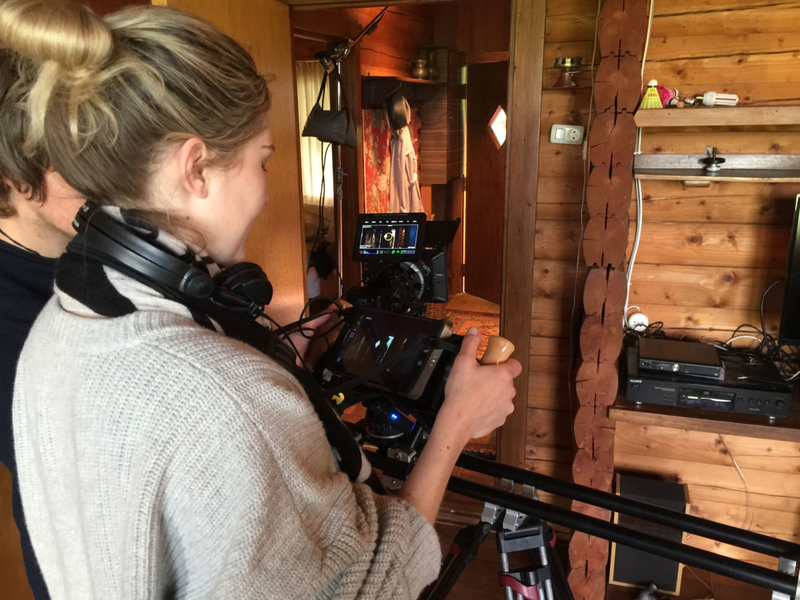 I love reading people’s different perspectives on our short! 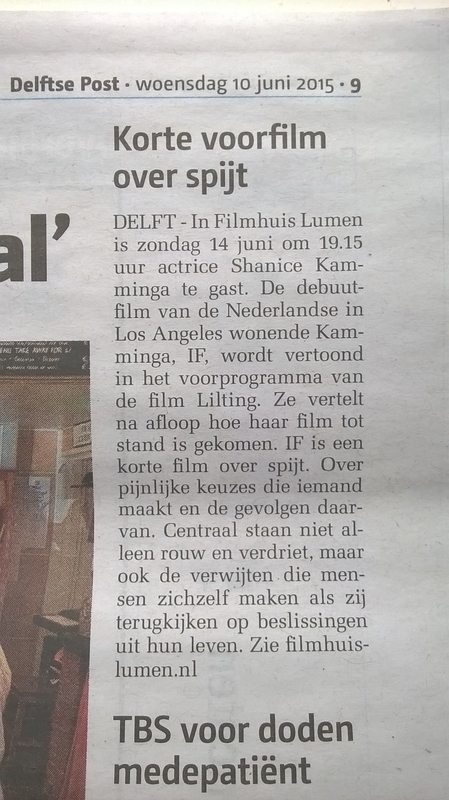 Next up: A screening in Wagening this Saturday! See showtimes here. I look forward to seeing you! You have less than a year left on your visa, right? What are you gonna do when it expires? I just found your blog. 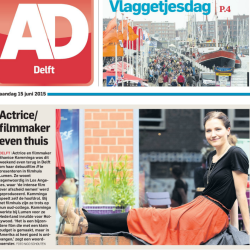 I want to be an actress too. When you audit an acting class, do you just sit and watch or do you participate? It really depends on the class!